Dogs have incredible hearing and tend to experience a great deal of the world through this sense. 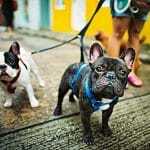 Substantial amounts of research have been conducted by Louisiana State University into the range that canines can hear it. The results are inconclusive, but one thing is typically agreed – dogs can hear twice as well as humans. This is why high-pitched sounds can be particularly irritating for Fido, even if we’re indifferent to them. Likewise, it’s why your pooch pal sometimes suddenly appears to leap to attention and high alert when there’s seemingly nothing around; they have heard somebody approaching from the distance, or some other warning sound has captured their attention. If your dog’s ear smells and is releasing a brown discharge, you spot any kind of dog ear wax or dog ear mites, or even if Fido is just acting out of sorts, it’s your duty to take action. Let’s take a look at any warning signs, and confirm how this can be done! 1 Can Dogs Get Earache? 1.2 Why is it So Important to Clean Your Dog’s Ears? 1.3 How Often Should l Clean My Dog’s Ears? 1.4 Will a Vet Clean My Dog’s Ears? 1.5.1 What Cleaning Solution Should I Use for My Dog’s Ears? 1.6 What Causes Dog Ear Infections? 1.7 What Are the Symptoms of Dog Ear Infections? 1.10 My Dog’s Ears Stink, but There’s No Sign of Infection? 1.11.1 What Does Dog Earwax Look Like? 1.11.2 What Causes Dog Earwax? 1.12.1 What are Dog Ear Mites? You might have complained that Fido is giving you an earache due to constant barking at one time or another, but spare a thought for your canine companion; dogs can experience great discomfort in their own ears. These problems usually have one of three causes – a build-up of wax in your dog’s ear, ear mites in the ear canal, or an ear infection. Regular cleaning of your dog’s ears will prevent these issues from really taking hold, though. We’ll say it one more time for good measure – it is very important to keep an eye on your dog’s ears, and clean them regularly! We often shower and bathe our canine companions, and tackle any faulty tear ducts with eye wipes, but lugholes can sometimes fall by the wayside. Checking your dog’s ears, and confirming that they are perfectly clean and healthy, is very simple. Just gently pull them back from Fido’s skull, and take a peek. You should find the ear canal to be bright pink, without any kind of unappealing scent or discoloration. If this is the case, give them a little clean anyway – prevention is always better than cure. If you see any sign of infection, ear mites of or earwax build-up, it’ll be time to take the appropriate action. Why is it So Important to Clean Your Dog’s Ears? Dogs have a much larger ear canal than humans, which makes them a real breeding ground for any potential bacteria. Ears are the one part of a dog’s anatomy that they are not able to clean themselves, but this won’t stop them from trying. Watch Fido carefully. If he is rolling around, pawing at his ears, and attempting to somehow contort his neck and body in order to reach them with his tongue, the chances are your dog is experiencing some kind of ear discomfort. Whether this is related to an infection, earwax, mites or just good old-fashioned dirt is for you to find out. How Often Should l Clean My Dog’s Ears? As is so often the case, this depends on your dog’s lifestyle – and their breed. As a general rule, a dog should have their ears cleaned one a month at the absolute minimum, with regular inspections in between. Floppy-eared breed such as a beagle, labrador or spaniel, or furballs such as a bichon frise, will be at particular risk of contracting dirt, wax, yeast (fungus), mites or infections in their ears though, and should be cleaned fortnightly. However, if your dog enjoys swimming, give Fido’s ears a polish every time he takes a dip. There’s no way of knowing what has been floating around in a river with your hound, and their ears will be packed with moisture after being submerged in a body of water. Likewise, if your dog has been enjoying prolonged playtimes in the woods or the beach, take a good look in their ears. 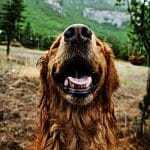 There is every chance that wildlife, dirt, sand, and mud has made itself at home in your dog’s ear canal, which can become a breeding ground for bacteria and fungus. Will a Vet Clean My Dog’s Ears? Happily so, especially if there is a risk of infection, but technically this is a job for a professional dog groomer – or yourself. A vet will, however, happily advise you on the best method of keeping Fido’s ears clean and suggest a schedule and routine. If you plan to clean your dog’s ears at home, follow these steps. Further advice will also be available from your vet or a dog groomer, and make sure that you’ve purchased a high-quality cleaning solution. Also, be aware that this is going to potentially be a messy business, so don’t attempt to clean your dog’s ears on your expensive sofa. Lay an old towel down on the bathroom floor, or use a plastic table. What Cleaning Solution Should I Use for My Dog’s Ears? There are certain things that should be taken into consideration when you’re choosing which cleaning solution to pick up from the pet store. Fragrance – Just like in human cosmetics, the term ‘fragrance’ is a catchall term for anything that masks the scent of chemicals used in the cleaning solution. As there is no legal need for manufacturers to confirm what fragrances they are using, you have no way of knowing if they are safe or likely to cause an allergic reaction in dogs. Artificial Colors – Sometimes a manufacturer will do whatever it takes to make a product look more appealing or fun, including adding artificial colors to a cleaning solution. As a dog’s ears are very sensitive, this could easily cause irritation or even magnify an existing problem. Alcohol, Chlorothymol or Menthol – These chemicals can be used to dry out the interior of your dog’s ears, reducing the moisture found within (and, theoretically, reducing the risk of infection). Too much dryness is more hindrance than help though, and irritation is a likely result. Preservatives – It’s likely that many ear cleaning solutions will be loaded with preservatives in order to extend their shelf life. Try to avoid these wherever possible; there’s every chance that they will cause irritation to Fido’s sensitive ear canals. Grab a pair of very sharp scissors and trim the hair that surrounds your dog’s ears. You don’t want any excess fur getting in the way of your work! Lift your dog’s ear, and pour the cleaning solution directly into it. Be warned, Fido will not like this one bit and will require quite a lot of reassurance! Do what you can to keep your dog still during the process, without making them uncomfortable by physically restraining them. Grab a cotton pad and very softly, very gently, massage the cleaning solution around the ear and ensure that it makes its way into the entire ear canal. Keep this up for around 20 seconds, trying to remain consistent but breaking if your dog shows any signs of genuine distress. Once you’re confident that you have finished cleaning the ear, dry it out with another cotton pad. Allow your dog to give their head a good, hard shake as this will clear out any fluid that remains. Start the process again on the other ear. 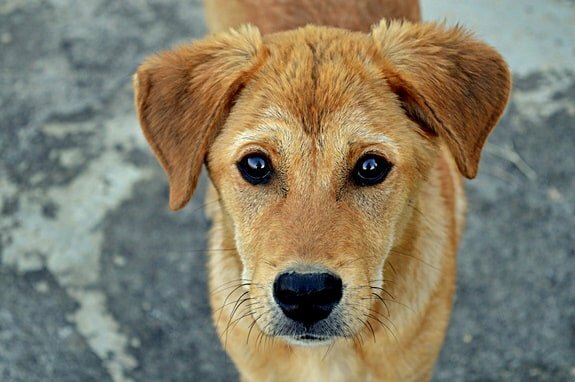 Here’s one crucial tip – never, ever use a cotton bud or Q-Tip on a dog’s ear! You run the risk of causing irreparable damage to your canine companion’s hearing. It’s cotton pads all the way if you plan to take a DIY approach to the cleaning of Fido’s ears. We have previously discussed how important it is to clean a dog’s ears with regularity due to the risk of bacteria and fungus. If those bacteria are left unchecked, it can turn nasty and lead to an ear infection with all kinds of nasty symptoms. The main reason that dogs are prone to ear infections is their anatomy. The human ear canal is horizontal, but that of a dog is vertical. This means that all kinds of debris can get stuck inside a dog’s ear, and they won’t be able to shift it by themselves. If dirt, mud or even insects get inside a dog’s ear, an infection will never be far away. What Are the Symptoms of Dog Ear Infections? There are two types of ear infection that tend to plague dogs. Otitis Externa is an outer ear infection, usually treated with antibiotics or some kind of lotion. Otitis Interna is an inner ear infection, which can be a little more serious. Sometimes antibiotics will do the trick, but the ear may need to be syringed. In some very problematic cases, surgical intervention may even be required. Regardless of the infection, ignoring it and hoping that it goes away will not work. You’ll need to take action and arrange an appointment with a vet upon noticing any of the signs of infection. If you spot or recognize any of these indicators of infection, make an immediate appointment with a vet. We have discussed ear discharge in dogs a couple of times, but what exactly is it? Dog ear discharge is usually a gloopy, wet substance akin to pus that may ooze from your dog’s ear. This isn’t actually a medical condition in itself, but it’s a very prominent warning sign of infection and should never be ignored. If discharge – either yellow or brown – emitting from your dog’s ear, they’ll be in a great deal of discomfort. Sometimes discharge will also be bloody. This is not necessarily any more or less worrying than traditional discharge, but it certainly also needs investigating immediately. In some cases, a discharge may also be solid as opposed to gloopy, almost like a scab. This is another warning sign of infection, and evidence that your dog will need some kind of medical care. If you’re wondering what you put in a dog’s ear for an infection, there are two potential solutions – professional medical help and antibiotics, or a home remedy. Obviously the former is advisable, especially if this is the first time your dog has suffered an ear infection, but experienced pet owners may be able to make the most of everyday ingredients. Canine antibiotics will usually treat a dog’s ear infection, helping your pooch to get back to their old selves in no time at all. These may be taken orally or topically (rubbed into the dog’s in the form of a lotion), or sometimes in the form of eardrops. Following a course of antibiotics to treat your dog’s ear infection is the one time that it’s best not to undertake regular cleaning. Doing so will run the risk of making your dog’s ear canal a little too moist, which could repeat the infection all over again. 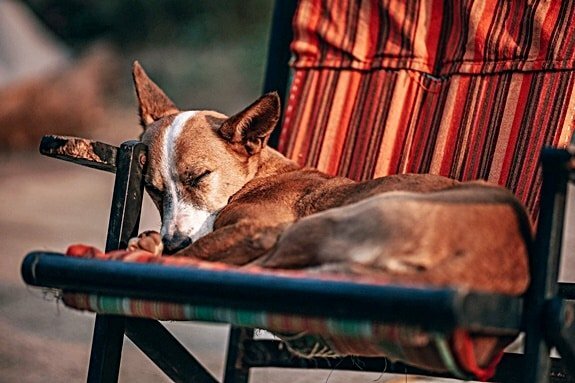 As some dog breeds are prone to recurrent ear infections, you may wish to look into home remedies (though remember that regular cleaning is the most effective and impactful treatment of all). Apple Cider Vinegar – This product can be used to clean various parts of a dog’s anatomy and it famously kills bacteria. Mix with water and you’ll be able to rub it into your dog’s ears using a cotton pad, or apply it to a syringe and squirt it in as an ear drop. Never use apple cider vinegar on a sore, red or open wound though – that will be hugely painful for your dog. Oregano Oil or Aloe Vera – Both of these products are natural antibiotics. This means that you may be able to use them to fix your dog’s ear infections without a scary and costly trip to the vet. You need to dilute both products quite heavily though, as they’ll irritate an already inflamed part of your dog’s body otherwise. Calendula – Many humans use this herb to ease the symptoms of dermatitis or eczema, and if you have the patience to prepare a solution for Fido it can be hugely beneficial in the battle against ear infections. Coconut Oil – We will never tire of extolling the virtues of coconut oil on a dog, and aiding with ear infections is just another way that it can boost your hound’s health. Melt your oil down in a frying pan and make a liquid solution that is hugely antibacterial and antifungal. My Dog’s Ears Stink, but There’s No Sign of Infection? If there is a foul stench coming from your dog’s ears but no hint of discharge, it suggests that your dog is experiencing a build-up of earwax. Happily, this particular problem has seemingly not progressed to the point of needing medical intervention. You should be able to take care of this problem by cleaning your dog’s ears using the steps outlined later in this guide. Earwax is not something to be ignored – it could lead to yeast infections and all other kinds of unpleasantness. It is vital to regularly check your dog’s ears to ensure that wax is not building up. Just like humans, if a canine’s ears are not cleaned with some degree of regularity wax can form – and just like with humans, this tends to be smelly, unhygienic and block your dog’s ability to hear! Next time Fido refuses to bring a close to his pooch playtime in the park, don’t automatically assume that he is ignoring you. Check his ears, and ensure that wax isn’t getting in the way of his audible recognition. This will be every bit as frustrating for your dog as it will be for you. What Does Dog Earwax Look Like? The short answer to this is, “just like human earwax.” That means it tends to be brown in color, and it comes with a rather unappealing smell. The most important thing to note is that whether the wax is solid. If the brown substance in the ear is gloopy and tends to come out as a discharge, this is more likely to be an infection. In this instance, make an appointment with your vet – it is likely to be extremely uncomfortable for your poor pooch. All dogs have a little wax, sometimes known by its scientific name of cerumen, in their ears. Doggy anatomy dictates that their ears will typically clean themselves and keep production of this earwax in check, but sometimes it will grow to excess, restricting hearing and increasing the possibility of infection. Surplus earwax is usually a result of dirt and bacteria getting into a dog’s ear and remaining uncleaned, causing yeast to grow and enhance. Some breeds of dog are more likely to suffer from this than others. A dog with a sizable ear canal, for example, will have plenty of space for the wax to build up. Non-shedding breeds may get wax trapped in their fur. Cocker spaniels, in particular, are prone to a genetic issue. The process of cleaning out earwax is much the same as the general cleaning processes discussed above, with diluted apple cider vinegar making a particularly effective solution. It’s particularly important that this is done with regularity, however – roughly twice a week until the problem calms down. If this is the first time that your dog has experienced a build-up of earwax it may be worth making an appointment with a vet, just in case there is an underlying cause that merits investigation. There is a third possibility of what is bothering your dog. Fido could have an infestation of ear mites. Unfortunately, it’s easy to confuse ear mites with a yeast infection. These parasites are more likely to nestle into the ears of cats, but they are not averse to making a home in a dog’s ear canal either. If your canine companion shares a home or communal space with feline associates, be vigilant about checking for any sign of ear mites. Ear mites are so small that the human eye can barely see them, and they tend to live for around three weeks. Once they have found a pooch to latch onto, the mites burrow inside the dog’s ear and feed on the wax and oils found within. Unfortunately, ear mites are as unsanitary as you may expect, and they frequently cause infection as they feast. 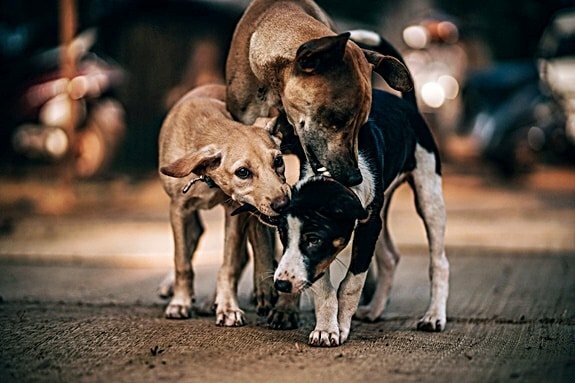 If your dog is suffering from an infestation of ear mites, the symptoms will be similar to fleas in their fur – lots of scratching, shaking and general unhappiness. 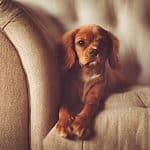 If you have reason to suspect that your dog has been infected, get these mites exterminated and take steps to fumigate the home and any other pets in the vicinity so they do not return. Dog ear mites may be tiny, but they can be infuriatingly robust and they won’t give up access to their favorite snack without a fight!